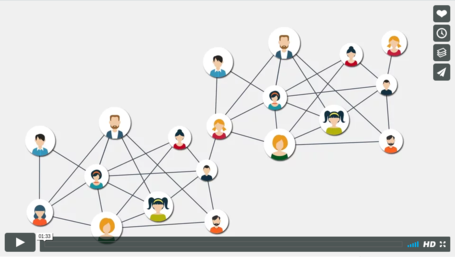 Watch the video and get a free demo! Beecode is an innovative human-to-human (H2H) referral marketing tool for organizing and managing events and promotional campaigns. 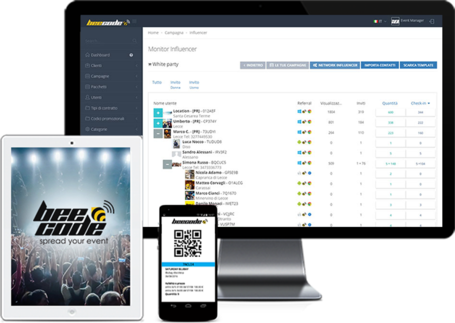 Beecode allows managers to organize, manage, disseminate and analyze any type of promotional campaign or event. Your Promoters will spread the message through the digital wordpress, thus increasing the conversion rate. Among all contacts involved, you will be able to identify the right Ambassadors for you, rewarding their loyalty and message dissemination capabilities. Use Beecode to organize your event / promotional campaign. Spread your custom message / invitation through your Promoters (employees of your company, collaborators, partners, friends, relatives). Observe and measure the behavior of your users. Monitor before, during and after the promotional campaign or event. Define your users and among them identify the right Ambassadors for your promotional message. Award Ambassadors and their ability to engage other users.